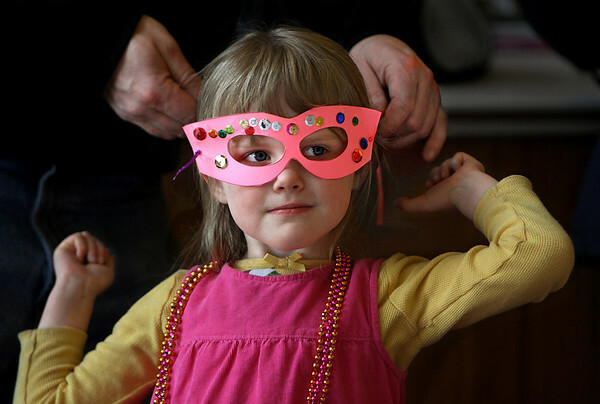 Four-year-old Keira Flynn of Essex tries on her new Mardi Gras mask with help from her father, Mike, during a mask-making activity for children Tuesday at the T.O.H.P. Burnham Library in Essex. Mardi Gras -- French for "Fat Tuesday" -- marks the last day before Lent.